Stud Manager and Director of Horse IT Ltd who publish the Competition Stallions Guide each year. 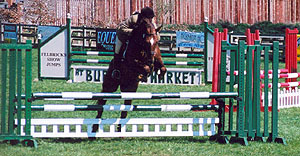 Jane started competing at a young age and represented the Easton Harriers Pony Club at Area and Championship Level in Showjumping and Eventing. Most recently, 2015, Jane was awarded the Breeders Award for Heritage Arrakis (by Heritage Orion ex Carnival's Dancing Queen) scoring the highest score Nationally in the BEF Futurity 2yr old Event Horse Section. 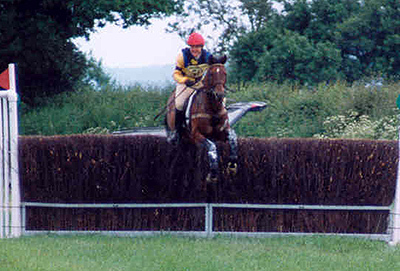 Jane held an Amateur Flat Licence in 1986 and rode under rules on the flat and Point to Point. She also had several seasons riding successfully in Arab racing. 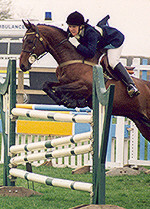 In 1987, Jane competed in her first Three Day Event at Windsor Horse Trials CCI** at the Junior National Championships. 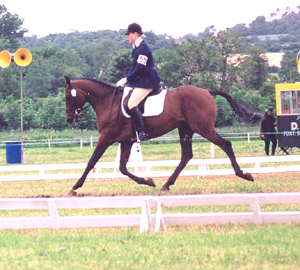 She then went on to compete in a further 8 Three Day Events from CCI* - CCI*** (Bramham Horse Trials) from 1987 - 1999 with 4 different horses of which only one was not home bred. Her best results were 10th at Bramham Horse Trials CCI*** YR National Championships & 9th at Tweseldown CCI* on a 6yr old home bred. 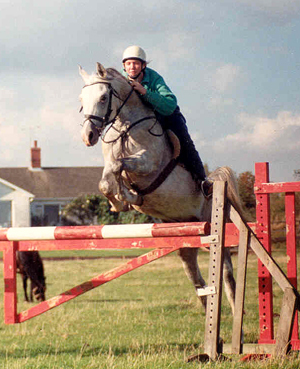 Throughout her Eventing career Jane has produced numerous young horses for sale. Jane continues to break youngstock and bring on young horses through the ranks. Although not riding so many horses as both her children her now competing as well. Jane divides her time between the Stud and running Horse IT Ltd with her husband, Piers Marson. Together they run the online equestrian directory, equibusiness.com and publish the well known Competition Stallions Guide each year. James has numerous BE90 & BE100 wins under his belt riding several different horses for owners in the East of Suffolk. He is competiting at the Grass Roots Championships at Badminton this May for Deidre Hunt. We hope next year he will be riding Heritage Juno there. Ada started riding at a very young age - in fact she was riding before she was born. She started on the amazing Elvis a 10.2hh section A Welsh who we found in Jaywick. She did everything from lead rein, gymhanering and hunting on him before handing him over to her sister Eve. Ada then went onto Bengad Cocos, 12hh Welsh Sec A, who had been brought on from a young pony by the Clarke sisters competing very successfully at BSPS level around the Country. Ada and Cocos had a fantastic two years; winning endless competitions and trophies. She jumped courses that came upto his chest and was won of the youngest ever to go round the 80cms course at Poplar Park at the age of 8yrs. Ada rode Cocos from April 2013- August 2015. In 2015 they won the EHPC 9&U Combined Training, EHPC 12&U Hunter Trial, EHPC highest placed 12&U ODE, EHPC 12&U Cup at the Fun Day and several Gymkhana Championships. Cocos and Ada also had huge success representing the School winning several classes and qualifying and representing the School at the Grass Roots Championships for two consecutive years. In October 2015, we were lucky enough to buy Rolly Rascal, 13.2hh Welsh x pony, who Ada took the ride on. Rolly and Ada were straight out competing within 3 days of him arriving winning their first rosettes Showjumping. They have since gone from strength to strength winning numerous SJ competitions and representing the school at the Grass Roots Champs in December and being in the winning team and placed 3rd individually. They have gone on to win the highly contested NSEA Suffolk County Qualifier at 70cms after winning the 60cms warm up class and now go to Bury Farm in April ro represent Suffolk County and her school, Woodbridge School, at the County Championships. Rolly and Ada have now moved up to 80cms and were 3rd in the first outing at this height out of 52 competitiors at a NSEA RPL Competition. The same day she also was 3rd in the 70cms qualifying for the 3rd year consequitively for the Grass Roots Showjumping Championships. Ada was recently 9th at the NSEA County Championships at 70cms and the same weekend was 3rd in the EHPC Open 80cms competing in her first ODE with Rolly. They won the highest placed Easton Harriers Members Cup. Ada has since gone onto be 11th at the NSEA Championships in the Jumping with Style competition. She was only 10yrs and the youngest rider in the top 15. In November, she scored double clears in the Team to come 2nd at the NSEA Plate Champs and then went on to score further clears in the team to win the Eventers Challenge qualifier and qualify for Hickstead in 2017. Ada is also riding Annadale Water Lily (Owned by Lucy Sykes) who won her first 70cms SJ competition on 21st Jan 2017. She also rides the home bred Heritage Jupiter who she is jumping and will Event. She now has the wonderful ride on the exciting 14.1hh Theo who is by Heritage Orion and owned and bred by Anneli White. Eve started her riding career before she could walk in a basket saddle on the part bred Shetland mare, Trixie. Eve stayed on Trixie until her trot was too jiggy and gave Eve a tummy ache so she was lucky enough to take over the ride on Elvis in 2013 at 5yrs. Eve is now riding Bengad Cocos and Portmore Yule who she is regularly seen on the hunting field with. Eve is in the Easton Harriers Pony Club Junior Mounted Games team on Cocos and competes in the School and Pony Club Junior Teams Show Jumping. She also showed Cocos in first ridden M&Ms with great success qualifying for the PUK Champs at her first outing. The Mounted Games team WON their zone finals and went on to the regionals where they did very well. She competed at the Grass Roots Champs Dec '15 - being the youngest competitor at 7yrs and getting placed. Eve competed in the 2016 NSEA Grass Roots Champs and came away with multiple placings and awards. Eve has had a busy winter hunting Portmore Yule and has progressed dramatically with Bengad Cocos who is now winning multiple competition with Eve. Most recently, coming 2nd in her first 70cms competition. Eve is still only 8yrs old! Eve is contesting her first County Champs qualifier in January 2017. Poppy competed in all Pony Club Teams including jumping at the Burghley inter-branch Show Jumping Competition. She Evented the Anglo Arab mare, Heritage Hera, who was Heritage Orion's full sister. Poppy now mainly hunts and competes in hunter trials when she has time.